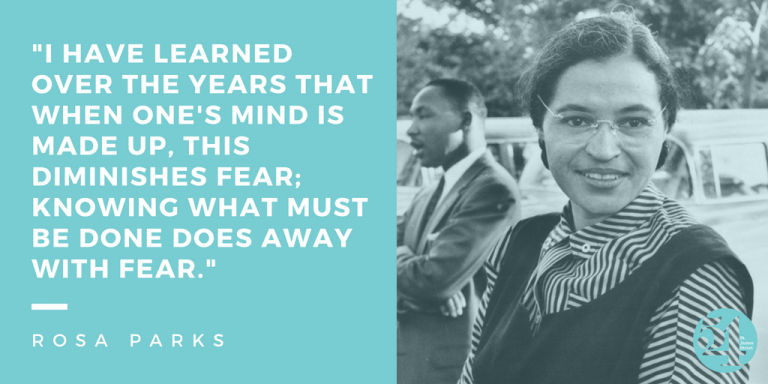 Our ‘Great Historic Women’ series wouldn’t be complete without paying homage to civil rights activist, Rosa Parks. Known as ‘the mother of the freedom movement’, Rosa’s story is remembered as a cornerstone event in America’s civil rights movement of the twentieth century. The daughter of a schoolteacher and a carpenter, Rosa was born and raised in Tuskegee, Alabama in 1913. At the age of nineteen she married local barber, Raymond Parks, and the pair were active in a number of civil rights causes. 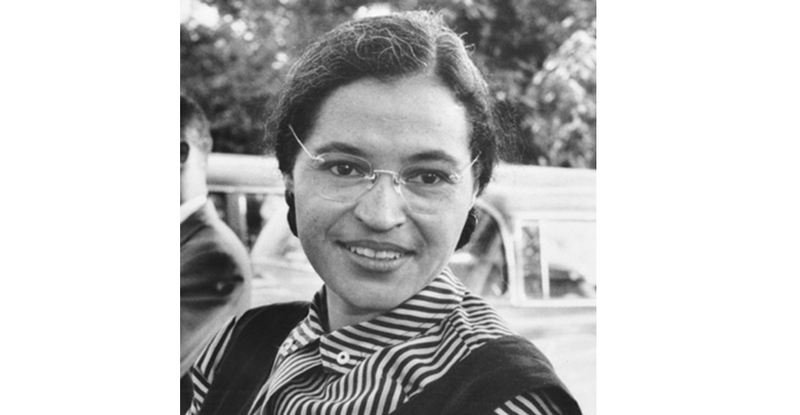 Rosa herself was highly influential in the movement and is best remembered for the infamous Montgomery Bus Boycott. On 1 December 1955, Rosa was travelling home from a long day at work on a public bus service. She paid her fare and sat in a free seat in the area reserved for African Americans. During the journey the driver ordered Rosa to give up her seat for a white man. When she refused Rosa was arrested and fined $14. This poignant action led to a city-wide boycott of the bus companies to force the city to desegregate public transportation. A young minister, Martin Luther King Jr became involved. The boycott continued for 382 days in the face of official opposition, becoming the largest boycott in American history. During the this time, 17,000 black people in Montgomery walked to work or obtained lifts from the small car-owning population. On 21 December 1956, segregation on city buses was deemed unconstitutional in a landmark ruling by the Supreme Court. Rosa’s actions marked the beginning of a mass movement of non-violent social change, culminating in the Civil Rights Act of 1964 and the Voting Rights Act of 1965. The Women’s International Centre for Economic Development (aka 54 St James Street) was built for women, by women. We’re proud to work with such talented women and to call ourselves home to The Women’s Organisation.